WARNING: The video at the bottom of this article contains security footage of Nipsey Hussle's shooting. The video is extremely graphic. Nipsey Hussle was a pillar of his community, working to improve the lives of many in his neighborhood. The Grammy-nominated rapper sadly lost his life this weekend after somebody shot him six times in front of his store. At the time, Nipsey was posing for photos with fans. Graphic security footage of the shooting has been released and posted by TMZ of the attack, which shows the suspect opening fire on a man who falls to the ground. The suspect then returns and kicks the man before running off to an alleyway where he was picked up by a getaway car. Police have been going through security footage from nearby shops to see if they could make out any information that they could use in the investigation. According to TMZ, the footage shows a man, possibly Eric Holder, confronting Hussle. They reportedly had a tense conversation and after the man in the dark shirt felt disrespected, he left to get a gun. 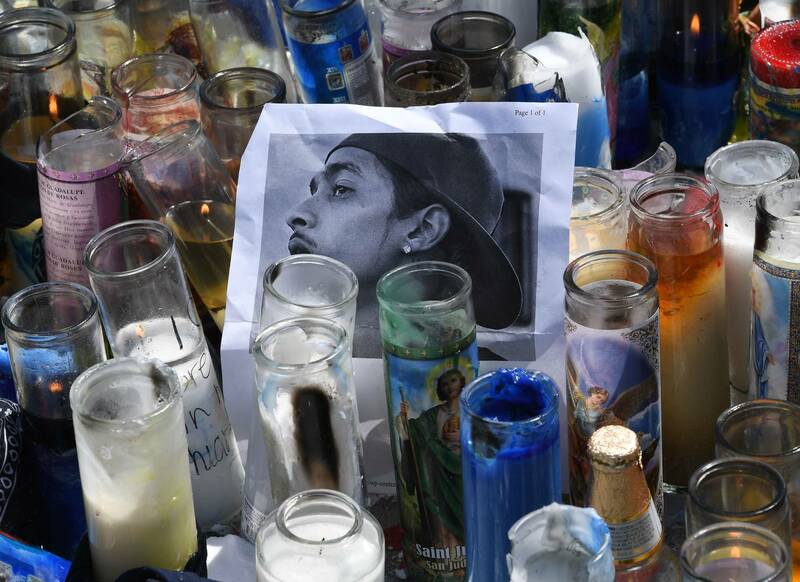 The report states that the man shot Nipsey one time before he started to walk away. Then, he returned and opened fire a few more times. Once again, the video below is graphic and disturbing. Please only watch it at your own discretion. RIP Nipsey Hussle.